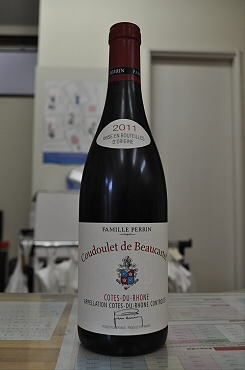 The 2011 Cotes du Rhone Coudoulet de Beaucastel is another excellent wine from the Perrin Family. 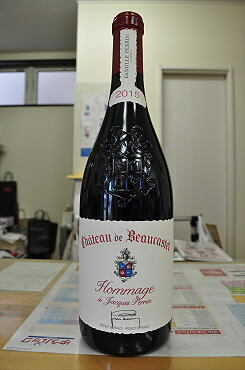 Complex and perfumed, with notions of earthy black fruits, licorice and roasted meats, it possesses sweet tannin, medium to full-bodied richness and a great finish. Drink it over the coming 7-8 years. Drink now-2021. 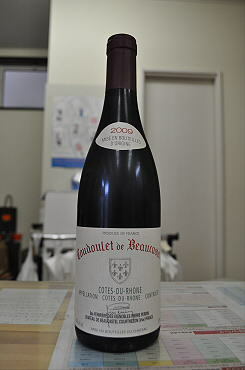 In total contrast, the 2009 Cotes du Rhone Coudoulet red represents the essence of Provence in its notes of ground pepper, new saddle leather, lavender, kirsch, garrigue, and abundant red and black fruits. This complex, evolved, luscious red begs for a bloody grilled steak. With a creamy, medium to full-bodied texture, this gorgeous, complex, evolved wine should be enjoyed over the next 7-8 years. 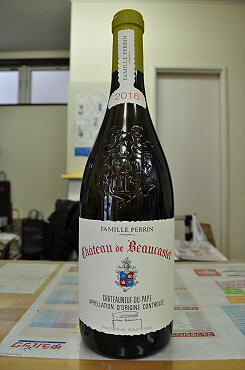 The family is a great believer in Roussanne as the white grape of the Southern Rhone, and the 2016 Chateauneuf du Pape Blanc includes 80% of that variety. Waves of honeyed pineapple and tangerine sorbet flood the senses. This is really lush, yet it's underscored by a briny sense of freshness that prolongs and lingers on the finish. It may be drunk young or aged several years. 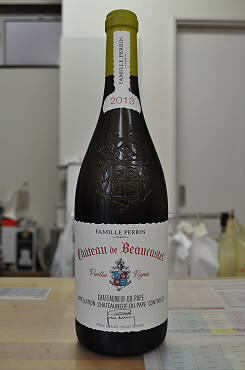 The 2013 Chateauneuf du Pape Blanc has gorgeous tangerine, quince, honeysuckle, white flower and buttered-citrus notes in its full, fleshy, ripe and mineral-laced character. Clean and vibrant, with both richness and freshness, give it another year or so and enjoy bottles over the following couple of decades. The 500-case production of this wine comes from a three-hectare parcel of Roussanne planted in 1909. The 2016 Chateauneuf du Pape Roussanne Vieilles Vignes takes the quality of Beaucastel's traditional white and raises it another level. Caramelized pineapple sounds sweet and cloying, but it isn't when it's backed by amazing texture, citrus zest and a briny sensation on the never-ending finish. As this was the last wine of my visit to the estate, I found it especially hard to spit out. Similar in color to the classic white, the 2013 Chateauneuf du Pape Roussanne Vieilles Vignes is deeper and richer, with more viscosity, glycerin and minerality. Loaded with notes of buttered citrus, flowers, orange marmalade and crushed-rock nuances, this beauty hits the palate with full-bodied power, juicy, lively acidity and terrific length. Like the classic white, this does not go through malolactic fermentation, but sees slightly more oak (some new) in its elevage, which always gives it slightly more richness, as well as hints of vanilla in its youth. It’s unquestionably the greatest white wine coming from the Southern Rhone, and while I prefer to drink it in its first 4-6 years, it can evolve for decades. The 2014 Chateauneuf du Pape is a beautiful wine in the vintage, and Marc compares it to the 2012. I’m not sure I agree, but there’s no denying the quality in this 2014. Sporting a deep ruby color and terrific notes of blackberries, ground herbs, pepper and Provencal spice, it shows the more forward, charming nature of the vintage and is medium to full-bodied, pure and balanced. Drink it anytime over the coming decade. 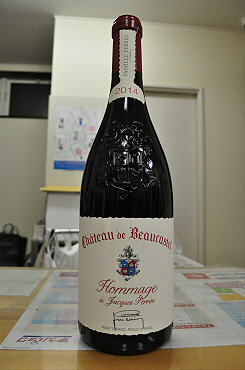 I was shocked at the quality of the 2014 Chateauneuf du Pape Hommage A Jacques Perrin and I can’t think of another wine that comes close to this level of depth, concentration and richness in the vintage. Its inky color is followed by sensational notes of roasted herbs, licorice, caramelized meats and layers of black and blue fruits. 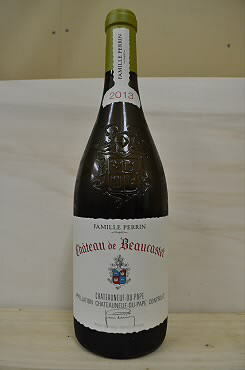 Rich, full-bodied, thick and unctuous, hats off to the Perrin family for this incredible effort! Give bottles 4-6 years of cellaring and drink over the following two decades. The less evolved 1989 boasts an even inkier purple color than the 1990. The most massive, biggest, concentrated, and structured of any of the Jacques Perrins, but it is still 5-10 years away from full maturity. It has great intensity and is extraordinary to taste, but it is not a lot of fun to drink ... if you know what I mean. In any event, this is a potentially perfect wine. The only question is, when will it hit its plateau of maturity? My guess is around 2010.